When the votes were counted in the February 23, 1861 plebiscite to ratify what the Texas Secession Convention had already adopted, it was clear that the counties along the Red River were of a different mind from most of the rest of the state as to secession. Of those with organized local governments, Montague, Cooke, Grayson, Fannin, and Lamar voted against leaving the Union. It was close in Red River but secession carried the day, as it did in Bowie, but once the state was committed, Texans along the river rallied to the call to arms. Men from the river counties plus Titus and Hopkins organized as the 11th Texas Cavalry under Colonel William C. Young at Camp Reeves in Grayson in October 1861. They immediately crossed the Red River into the Nations to occupy Forts Arbuckle, Washita, Cobb, which the U.S. Army had abandoned when the garrisons withdrew to Fort Leavenworth in May. At about the same time, the 9th Texas Cavalry, also organized at Camp Reeves under Colonel William B. Sims. Recruits from generally the same counties as the 11th plus contingents from Cass, Hopkins, and Tarrant, made up the unit. 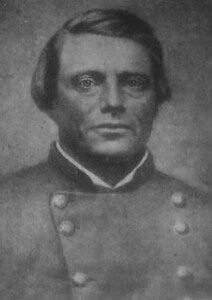 By November, both regiments were engaged in the Nations against pro-Union Creek and Seminole elements led by Chief Opothleyahola. The campaign ended in late December 1861 with Confederate victories at Round Mountain and Chustenahlah, and the Texas units marched off to Little Rock to join Ben McCulloch’s Army of the West. With no tangible threat along the river from Federal forces, the few organized Confederate and state troops left in North Texas kept order in the civilian areas generally emptied of military age men and looked to the west where the Comanche and Kiowa were pushing back the lightly manned frontier line previously defended by soldiers in blue. The lower part of the Red River was quiet as well until the spring of 1864, when the U.S. Navy appeared on the river. They were inelegant brutes, but there was no doubting the martial ferocity of the Mississippi gunboats of Rear Admiral David Dixon Porter’s squadron that were detailed to accompany the Federal expedition up the Red River. The hodgepodge collection of vessels, thirteen ironclads and seven light draught, armed steamers, carried more than two hundred guns. They constituted the most potent naval flotilla ever seen on western waters. The squadron had escorted the transports from Vicksburg that brought ten thousand soldiers from W.T. Sherman’s command and would stay with the army as it traveled up river. Major General A.J. Smith led the Vicksburg contingent. At Alexandria, Louisiana he would join with the expedition’s commander, Major General Nathanial P. Banks and seventeen thousand men up from Bayou Teche and fifteen thousand more blue coats under Frederick Steele from Arkansas. Together the Federal army would drive up the Red, capture Shreveport, the temporary capital of Confederate Louisiana, and strike at Texas and the Confederate war industries that had sprung to life in the Lone Star state. Opposing the operation would be the thirty thousand Confederates of the Trans-Mississippi under Lieutenant General Edmund Kirby Smith. But Smith’s soldiers were stretched thin from Camden, Arkansas to the Texas coast and would be hard pressed to put up a defense. Texas seemed ripe for the taking. 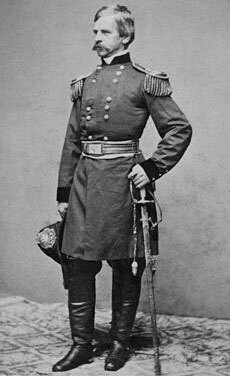 The top generals on the Union side, U.S. Grant, Sherman, even Banks himself, had opposed the operation as being of no real military benefit. 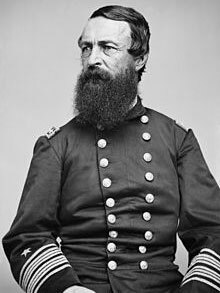 But Henry Hallack, acting as chief of staff in Washington, liked the idea, and President Lincoln very much wanted the stars and stripes flying over Texas in 1864. Napoleon III was determined to emulate his namesake on an international stage, and had dispatched thirty thousand French regulars to set the Austrian Archduke Maximilian on a throne as Emperor of Mexico in open violation of the Monroe Doctrine, and there were rumors coming out of Richmond that the Confederate government might invite the French into Texas. Then there was the cotton. The mills of New England were crying for cotton, and there were an estimated two million bales up the Red and in Texas, unable to reach European markets because of the U.S. Navy’s blockade of the Confederate ports. A man could get rich in a hurry dealing in black market, contraband cotton, and the speculators were lining up to follow the army up the river. So began the Red River Campaign in the spring of 1864 with ambitious plans and high hopes, but it was plagued with problems from the outset. After capturing Fort DeRussy near Marksville, Louisiana, Smith and Porter had reached Alexandria on March 18 to wait for promised reinforcements, as Richard Taylor’s Confederates retreated up river to Natchitoches without a fight. Banks had not arrived yet, and Steele’s fifteen thousand men from Little Rock never would arrive. He had dawdled, and would never get out of Arkansas. Banks got to Alexandria on March 24 and was greeted with two disheartening pieces of news. First, the Red was running low. The high water that usually brought the river to flood in the spring and not arrived, and there was barely enough water to see Porter’s squadron over the double rapids just above the city. Second, Smith’s ten thousand men had been ordered to rejoin the Army of the Tennessee for Sherman’s advance into Georgia. They were to depart no later than April 15 unless the capture of Shreveport was imminent. Time was tight, so Banks set out for Shreveport immediately. On April 2, the force reached Natchitoches and four days later pushed on. And so it went. The Federals pushed forward, the Confederates fell back. There were dust ups at Crump’s Hill, Wilson’s Plantation, and then, on April 8, the main column, which had left the river road and was moving parallel to the Red, bumped into Taylor’s Confederates at a junction called Sabine Crossroads. They were three miles from the hamlet of Mansfield, Louisiana and only twenty miles from the Texas line. After retreating across most of Louisiana, the son of legendary Zachary Taylor, “Old Rough and Ready” of the Mexican War and 11th President of the United States, was ready to fight. The twenty thousand Federals were strung out along a narrow muddy road, their movement hampered by the long lines of supply wagons interspersed along the column. Banks was on the scene, and he immediately ordered up the reserves, but before they could get to the crossroads, Taylor’s rebels came roaring out of the woods with a fury. As the Federal right collapsed, Tom Green’s Texans hit the left of the Union line with equal fervor. At San Jacinto back in 1836, Green had served one the Twin Sisters, the two brass cannons given to the Texans by the people of Cincinnati; he had fought with Jack Hayes in the Mexican War, and defended Galveston against the Yankees earlier in the war. He would survive this fight as well, only to be killed four days later while supervising an artillery dual with some of Porter’s gunboats. The route was on as the fleeing Federals disintegrated into “…a disorganized mob of screaming, sobbing, hysterical, pale, terror-stricken men.” The defeat was as complete as any inflicted on the U.S. Army during the war. Twelve thousand Union men had been engaged in the battle; 2,235 of their number were dead, wounded or captured. The Confederates captured twenty guns, two hundred wagons, and more than one thousand horses and mules, against losses of about one thousand men killed or wounded. Taylor pressed the issue as long as he had the light, and the next day pressed it again. But Banks had organized a defensive position at a spot called Pleasant Hill and on April 9 more than 1,500 Confederates fell trying to dislodge the Federals. For practical purposes the grand effort to conquer the Red River and capture Shreveport was finished. There would be skirmishes and firefights as the Federals withdrew, but the thrust into Texas was done. Nevertheless, there was one more drama to be played out. 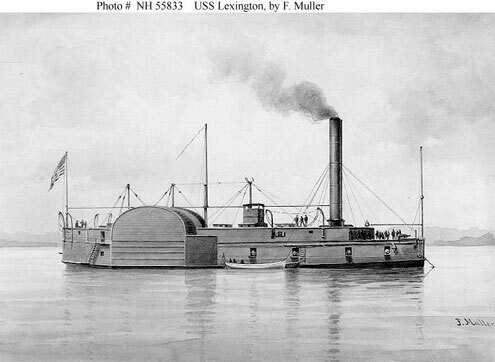 Adm. Porter’s flotilla was still above the rapids at Alexandria, and there seemed to be no way to get them to safety. Not only had the expected floods on the Red never materialized, but the river as actually falling as the Confederates made efforts to divert up-stream water. The navy was in trouble. Porter already had lost his largest ironclad, the Eastport. 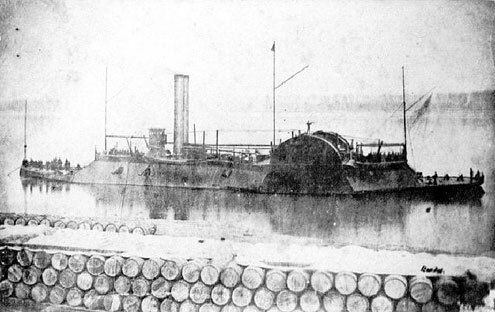 She had struck a Confederate torpedo (a mine) and sunk to the bottom of the river above Grand Ecore. The sailors got her up again only to have the vessel ground in low water forty miles farther downstream. Unable to plug the leaks and free the boat after three days of labor by her crew, Lieutenant Commander Ledyard Phelps unshipped her guns, and then blew up the Eastport on April 26. 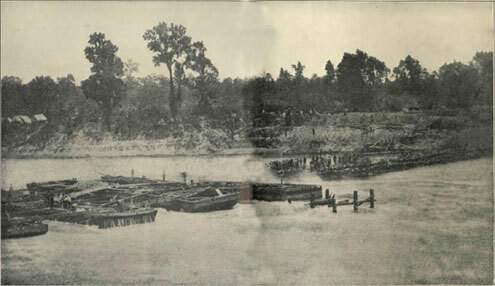 The Confederates along the river were taking a serious toll on the flotilla with constant small arms and artillery fire. The gunboat Cricket had been hit time and time again. Several of the unarmed pump boats had been sunk. On one of those boats, Champion 3, 175 runaway slaves, who had been working as stokers, died in a cloud of scalding steam when the boiler exploded. Things were getting worse, and Porter faced the prospect of losing his entire fleet. Enter Lieutenant Colonel Joseph Bailey. 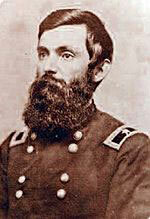 Bailey was lumberman from Wisconsin and the chief of engineers for Major General William B. Franklin’s corps. He went to Banks with an idea borrowed from his years in the forests. He said he could construct wing dams, temporary extensions from either bank of the Red that would back up the river, raise the water level, and permit the naval vessels to traverse the falls above Alexandria. “I wish I was as sure of heaven, as I am that I can save the fleet,” he said. 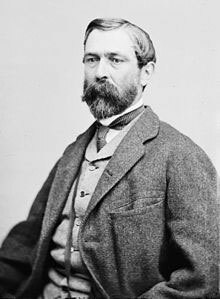 Banks took Bailey to Adm. Porter, who disparaged the idea at first, but was willing to try anything to save his boats. On May 1, with 3,500 soldiers in hand, many of them skilled axmen and sawyers from the north woods, Bailey went to work. He set out to build two, 300-foot long wings out from the riverbanks at a spot above the lower falls where the Red was 758-feet wide. The gap in the middle would be blocked with barges loaded with bricks. Bailey’s dam above the Alexandria rapids on the Red River, 1864. The north side of the river had plenty of timber, and the ring of the axes soon filled the air as the crews felled trees to pile into the river. They built boxes, “cribs” they were called, hauling them into the river and then loading them down with rubble to construct the wing extending from the south bank. The soldiers worked under a bright sun by day and by the light of bonfires on the banks all through the night. The sailors were hard at it also, lightening their boats by tossing everything not absolutely essential, including some old guns and armor plate, over the side. As the soldiers in the river toiled away, the banks grew thick with onlookers. Day after day the work went on, while Taylor’s Confederates did all in their power to hinder it with sniping and attacks on the shipping on the river. The unarmored transports were particularly vulnerable and several were lost to rebel gunfire. There were ancillary problems as well. With the Southerners all but stopping traffic on the river, supplies for the soldiers and sailors were running out, and they had used up most of what was close at hand. 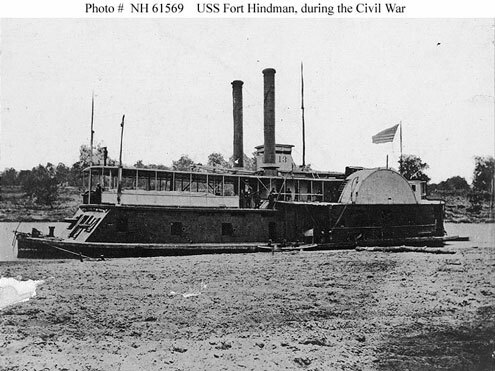 On May 8, the water was high enough for three light draught vessels, the Fort Hindman and two monitors, Osage and Neosho to pass over the upper falls. The others would have to wait a while longer, but with the wing dams finished and the plugs set in the middle of the river, salvation appeared close at hand. But so was disaster. Riding the rapids from Frank Leslie’s Illustrated Newspaper. As the water rose—it came up more than a foot between sunset and midnight on May 9—the pressure on the obstructions in the center rose even faster, as did the river’s current. An alarmed Gen. Banks alerted Adm. Porter to be ready should the dams break. And break they did. Just before dawn, the barges sunk in the middle of the river shifted and then gave way. Before the navy could react, the water level dropped too low for most of the boats to make the passage, but one, the Lexington decided to give it a try. While thousands watched from the shore, the Lexington steered for the narrow sixty-six-foot wide gap between the dams and shot over the falls like a log in a flume as a huge roar of approval rose from the soldiers watching the show. The Osage and the Hindman, made it down river also, but there were still six boats trapped on the Red, and Banks was all but ready to abandon them. Porter urged the army to stand by him “...if we have to eat mule meat,” for at least three more days. Once again, engineer Bailey came to the rescue. Instead of trying to repair the breech in the lower dam, a difficult task given the weight of water and swiftness of the current, he started two more wings just below the upper falls. Well practiced by now, the crews completed the task in short order and near sunset on the third day, the rest of Porter’s flotilla passed over the mile-long stretch of white water that had threatened their existence. The army and navy pushed east, back to the safer confines of the Mississippi and lower Louisiana, glad to be rid of the muddy river that had brought them so much grief. The war on the Red River, for the Red River, was finished. The river, as much as the Confederates, had defeated the Federal invasion. But the victory was of little real value, Confederacy’s days were on a short calendar now, and nothing of man or nature would change that.